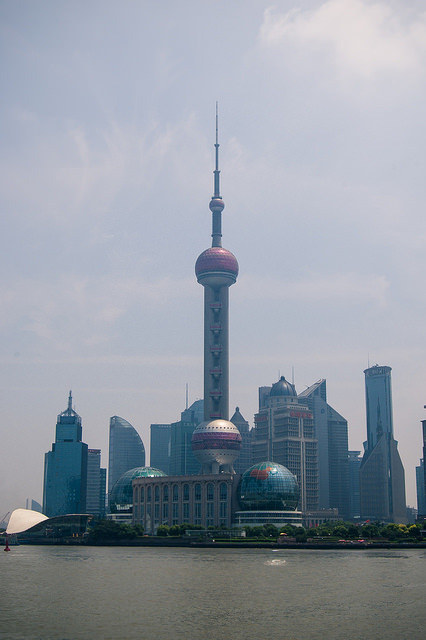 During a presentation today, somewhere in Shanghai in a tall shiny building, a slide went up showing Shanghai’s PuDong skyline in 1990; green, flat, open space; and Pudong in 2014; packed with skyscaper after skyscraper, the new avatar of this megacity. In 24 years it is almost unfathomable how much a place can change. It is pretty. It is cool. Is it good? Surely for somebody. Is it bad? Oh, surely in a few ways as well. But is it real – at this point I can tell you it is very real. I feel like I grew up in the era where people said China would be an economic powerhouse, and now I live as an adult in that world. But somehow it is always a media story, always filtered through the internet and second hand stories, when you see it up close, that is when the world as you know it looks very different. That is when predictions and forecasts become reality. “They don’t speak much english,” my fellow travelers often remark about people in Shanghai. — Why should they? It is their world. This one and the big one out there. And the way this powerful wind blows, it is for us to learn about them far less then it is for them to learn about us. Even if both of those would be beneficial to all and fun. I can’t yet tell you about Shanghai. After seven days I probably still won’t be qualified or capable. But here on the ground in South Shanghai where buildings are low and the streets are empty at night, it is above all an interesting and intricate world. I’m only in the beginning phases of getting to know it.